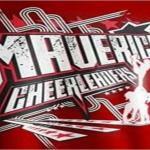 I would like to receive occasional information and updates from Mavericks Cheerleaders Fundraising! and jumblebee. Help send our teams to Nationals 2015! Check out the Marketplace where you can sell all your unwanted items and the proceeds go towards our teams. You can also keep up to date with events by following the notices and calendar page.